On the less known side of the Camargue (eastern side) there is a extraordinary location in the Salin-de-Giraud, a salt mine still in full activty. The water is really red, and the polarizer effect resulted in a even stronger color effect. 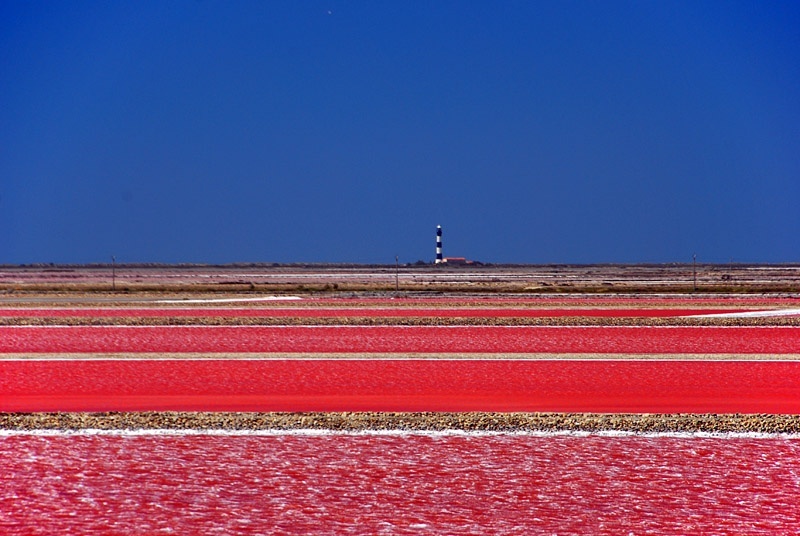 This entry was posted in Color, Landscape and tagged Camargue, color, effect, location, polarizer, red, water. Bookmark the permalink. i want to tell you as we do our place : bella esagerata! It’s really this red? Crazy! Fantastic colors for this landscape ! beautiful ! Molto bella, particolare il colore rosso sulle saline!